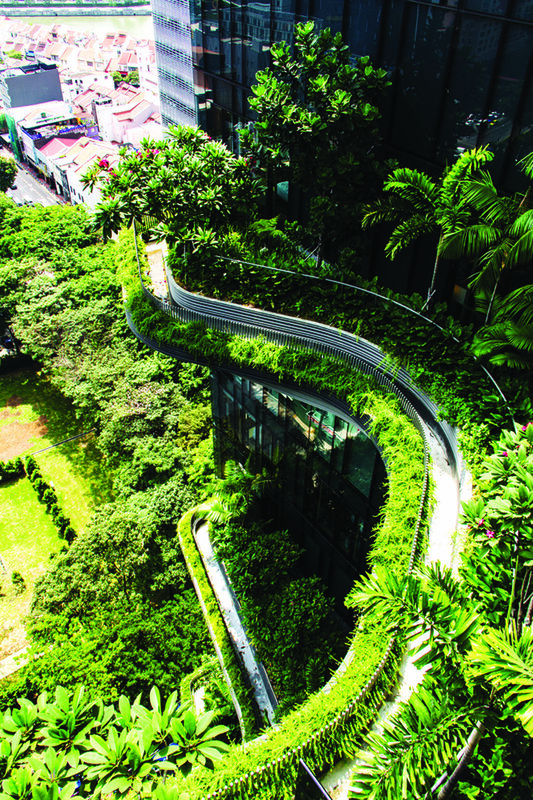 Located within the Central Business District adjacent to Singapore’s first privately owned garden - Hong Lim Park, Park Royal Pickering is a demonstration of how greenery can be conserved in a way that integrates harmoniously with the form, function and enjoyment of a business hotel with small office development components. The intricate tropical landscape spread over several layers of the building take up an area twice the size of the entire building’s footprint. The visitor’s experience begins at the street level, where tropical greenery complemented by architectural elements blur the line between where the neighbourhood ends and the hotel begins. Strategic landscape veils hard edges, extending greenery not only upwards but also into the lobby and interior public spaces of the hotel. The landscape design was conceived entirely with environmental sustainability at the forefront of the design. 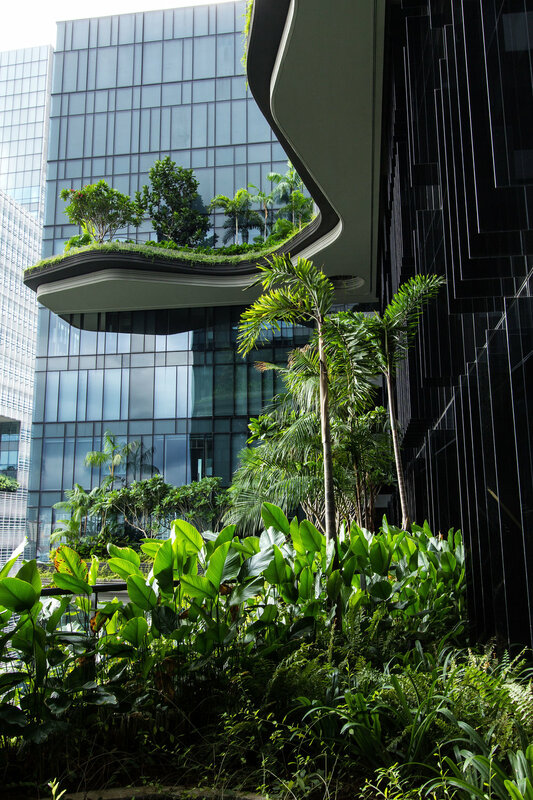 Recipient of Singapore’s Green Mark Platinum Certification, this hotel has Singapore’s first solar-powered auto-irrigation systems that use rain and recycled water to keep the plants flourishing year around.